Everlast Blacktop is a company you can trust when you’re looking for a concrete contractor. 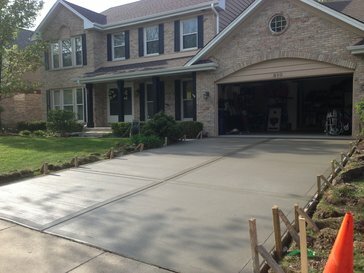 We provide over two decades of experience in creating quality concrete driveways and stamped concrete driveways throughout the Chicagoland area. Everlast Blacktop is a concrete driveway contractor that is praised by many of our Buffalo Grove customers. We deliver on our word for accurate quotes and finishing your concrete project in a timely fashion. Buffalo Grove, Illinois is in the 10th Congressional District and has a population of 41,496. Buffalo Grove is located in both Lake and Cook County, about 30 miles northwest of the Chicago Loop. Everlast Blacktop is here to stay, and that’s why as a concrete contractor we take the time to do all our concrete driveways and stamped concrete driveways the right way. Everlast Blacktop is a concrete driveway contractor that wants your concrete work to stand the test of time. concrete driveways and stamped concrete driveways to see for yourself why we are a leading concrete business. Call Everlast Blacktop today at (630) 855-5572! As a result, you will find peace of mind by dealing with a trusted concrete driveway contractor.